How fast a year goes. I still don’t know how my tiny baby is a year old already. 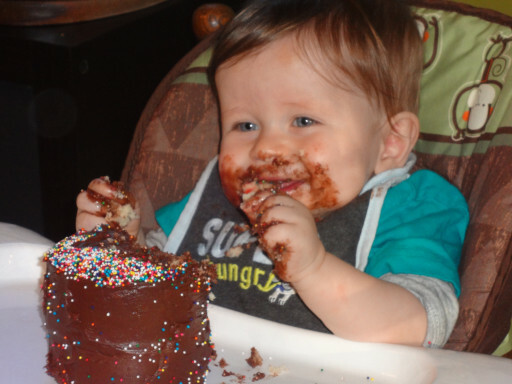 But what I did know, is that I wanted him to have his very own cake to smash up at his first birthday party. 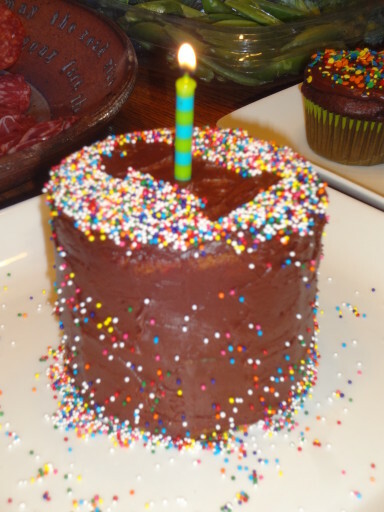 I searched the internet and pinterest for instructions on making a mini layer smash cake. I found lots of examples of beautiful cakes, but very little instruction. I didn’t even know what size pan to use. So I decided I would just have to wing it. 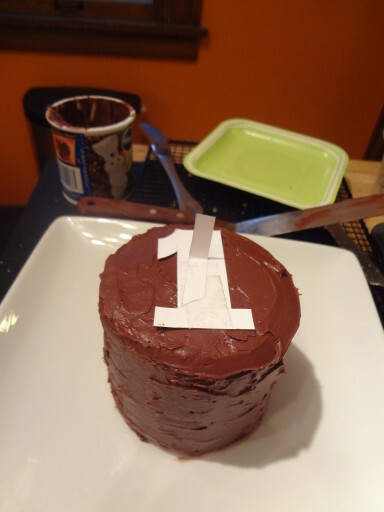 So you don’t have the same frustration, here is a handy dandy tutorial for a “homemade” first birthday smash cake. The first thing I had to figure out was a pan to use. 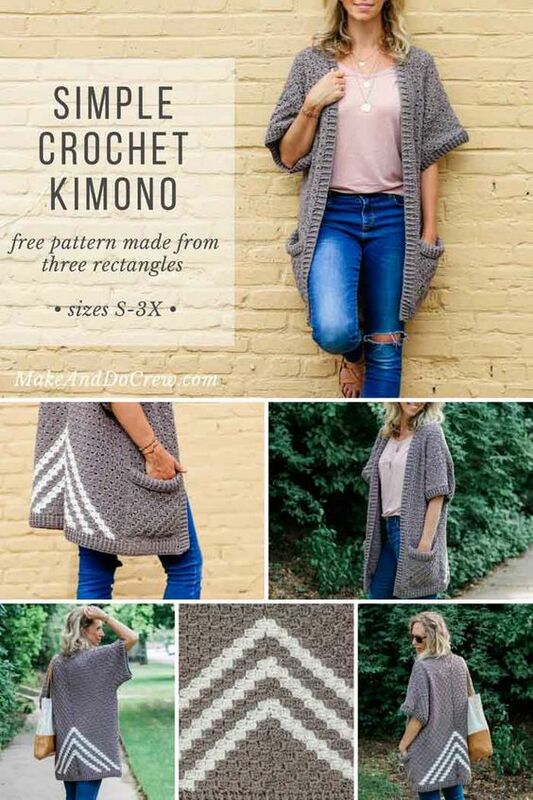 I found some suggestion on the internet that they used a formula can to make small layers. Well, Liam’s formula comes in a plastic tub, so that wasn’t going to work. I certainly wasn’t going to buy different formula just to get a can. So I set out in search for mini cake pans. 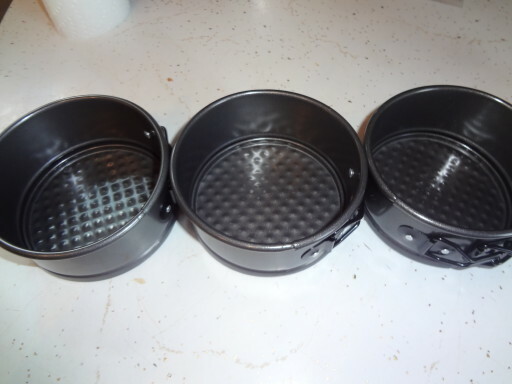 My first stop was Target and they had a 3 pack set of 4-inch spring form pans for $9. I was sold. Maybe I could find something cheaper someplace else, but $9 seemed reasonable enough and I was willing to pay it if it meant my search was over. 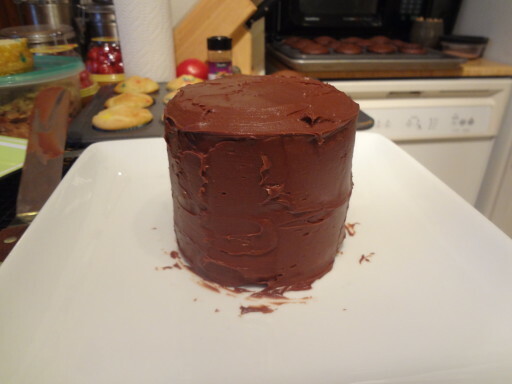 I would make a cake with 2 4-inch layers. Next thing to decide on was cake. 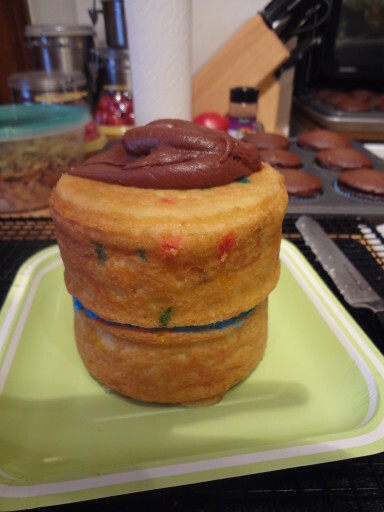 I like to make things from scratch, but after looking up several cake recipes, I decided to go with box mix for this. Mostly for simplicity of it. I had a lot of other things going on with Halloween and his birthday being right on top of each other, and simple sounded like the way to go. And box cake mixes are nothing if not consistent. 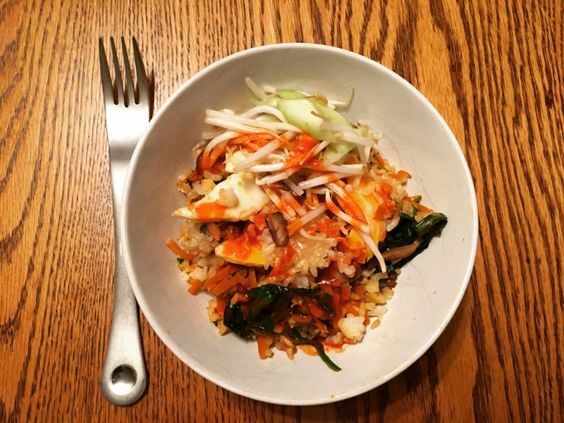 It would be easy and it would be edible if nothing else. I also wanted to make cupcakes to serve the rest of the guests, and two boxes of cake mix would easily make the smash cake and plenty of cupcakes. So now the hard part, deciding how to frost and decorate it. There are so many adorable cakes on Pinterest, but I got the feeling that most of them were professionally made. My cake decorating skills are way below professional, more like non-existent. The most adorable cakes were decorated with fondant but I decided against that right away. First, I think it tastes awful, I don’t like having to unfrost my cake before I eat it, and secondly and probably more importantly, I wanted pictures of my little one with frosting smeared all over his face. I couldn’t see how that could work with fondant. 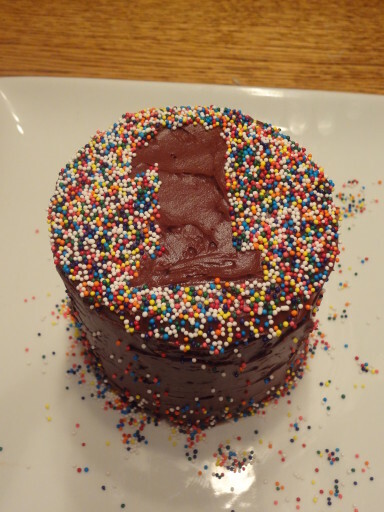 So now that I had decided on regular frosting, I found a picture of a cake decorated with a number 1 with sprinkles. 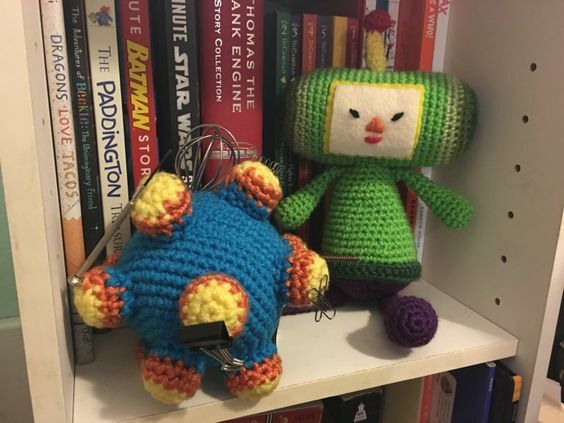 Simple, cute, and easy to do. 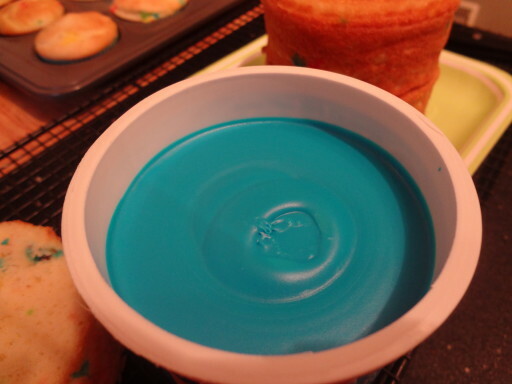 I decided to buy canned frosting to match my cake mix. If we are going the boxed route, why not go all the way. 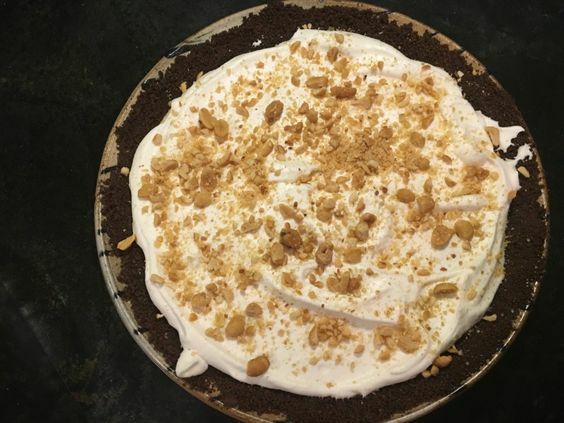 Once I had a plan, I had to actually bake the cake. The first step was to prepare the cake mix according to the box. 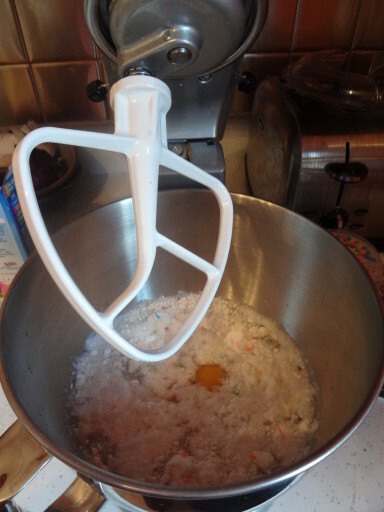 This was easy, dumb cake mix, oil, water and eggs in the mixer, mix. Next I prepared my pans. I refuse to grease and flour pans by hand, I end up with flour everywhere. 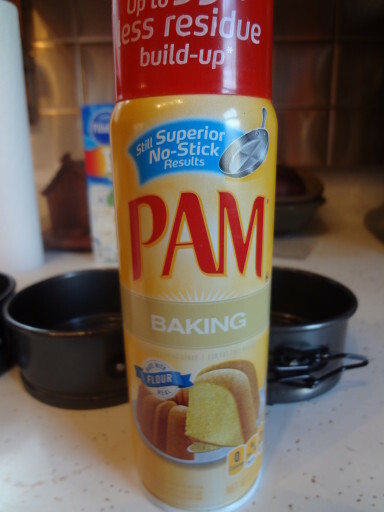 Pam for Baking is my friend. 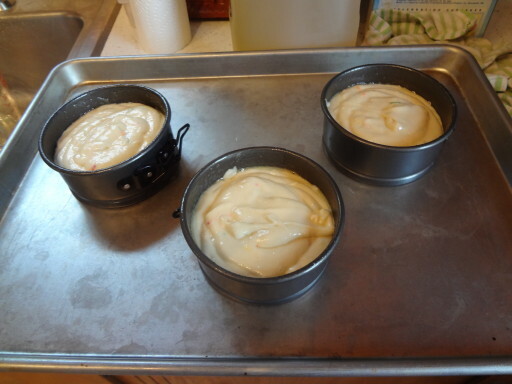 Even though I only planned on making a two layer cake, I filled all 3 pans. 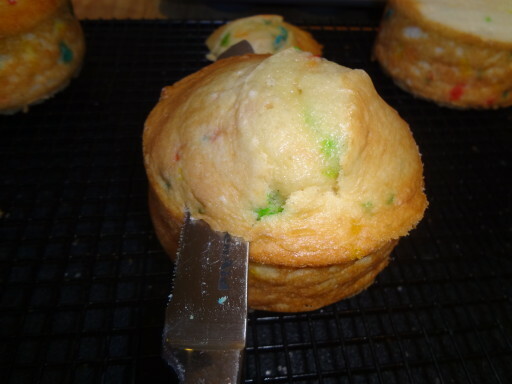 With two boxes of mix I had more than enough batter for cupcakes and I thought an extra layer would be handy if one didn’t turn out or I wrecked it in the process of removing it from the pan. Anyway, fill each pan 1/2 to 2/3 full. I did 2/3 and they ended up a bit overfull, but it was easy enough to fix before frosting. 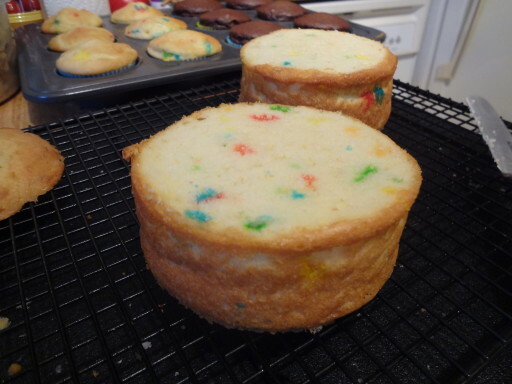 Of course the box of cake mix gave baking instructions for cup cakes, 8 in layers, square pans and 9 x 13 pans, but no 4-inch rounds. I decided to go with the same temp as the cupcakes and slightly longer. I just checked them often, they ended up taking about 30 minutes until a toothpick inserted in the center came out clean. 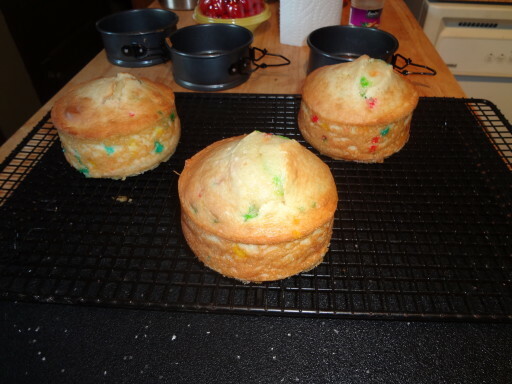 When the cakes were done, I removed them from the pans and put them on a rack to cool. Here you can see that they were a little over full and ended up domed. 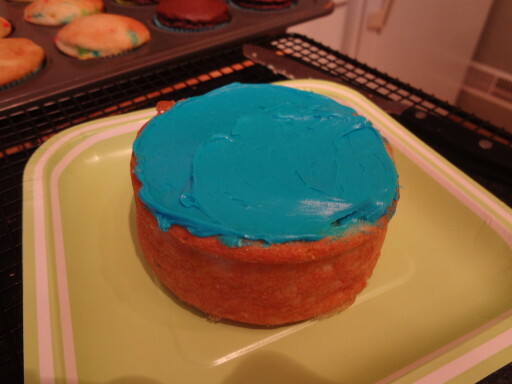 Once they cooled, I used a serrated knife to level the top of the cake. Then I picked the two cakes that fit together the best. 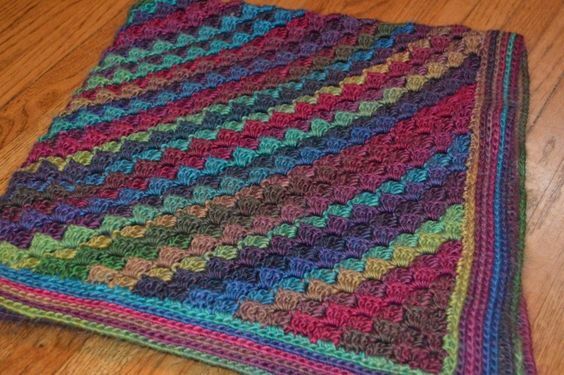 I put the top layer on upside down so that the top would be nice and flat. Then I ate the left over one along with the tops I cut off. Mmmm… discarded cake. 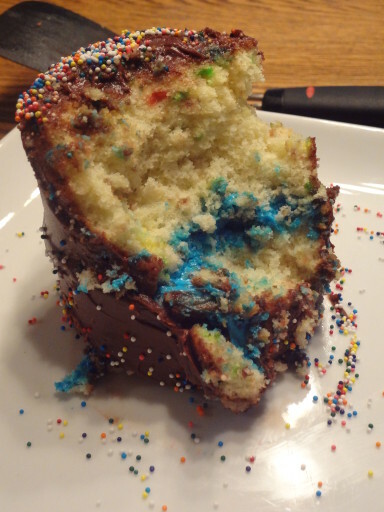 It’s just vanilla frosting, and tasted just fine, but I couldn’t imagine trying to get the blue back off his face, so I decided to just use blue frosting between the layers and actually frost the cake in chocolate. 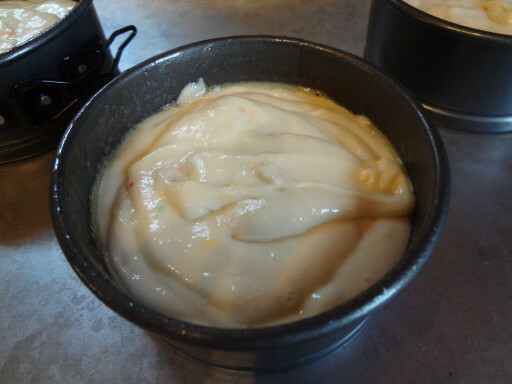 Start by spreading a nice thick layer of frosting on top of the first cake. Then place the 2nd cake on top. Then spread a thin layer of frosting over the top and sides of cake. 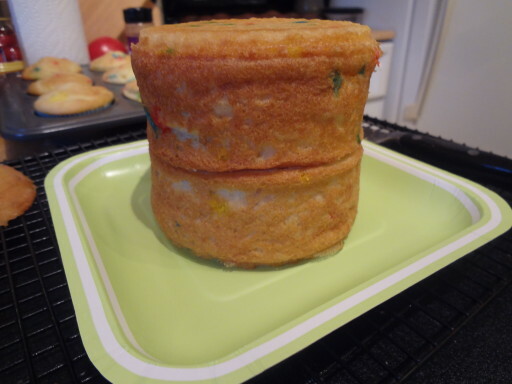 This will hold the crumbs in, then go back over the cake with a thicker final layer. 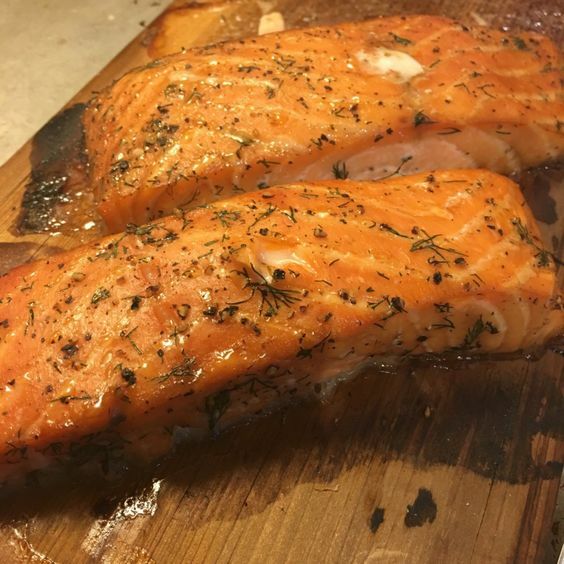 This is made much easier with the use of an offset spatula. If you don’t have one, a butter knife will do. Smooth it out as best you can. 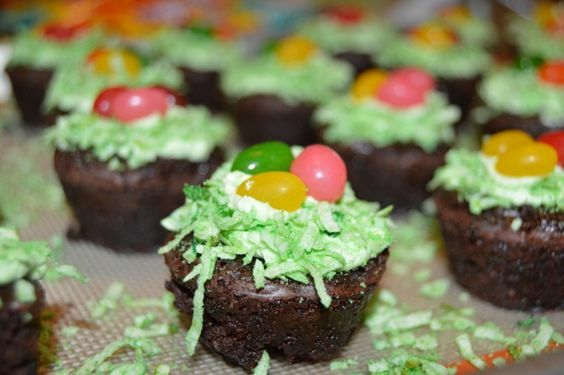 It doesn’t have to be perfect, you can cover up iffy spots with sprinkles. Next, I cut a number 1 template out of card stock. I considered printing one off the internet, but didn’t feel like taking the time to scale it to the right size, so I just freehand drew it and cut it out. I tapped a little tab to the face of it to make it easy to lift back off of the cake. 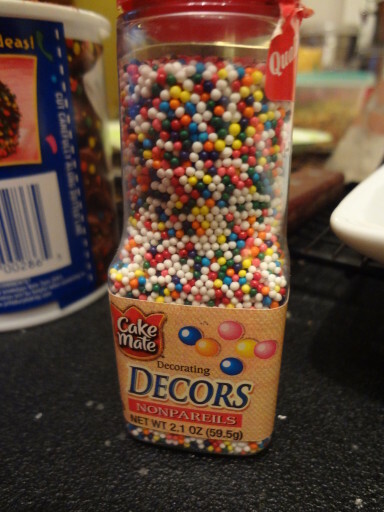 With the 1 on the cake, I sprinkled multicolored nonpareils all over the top and tried to get some to stick to the sides of the cake. 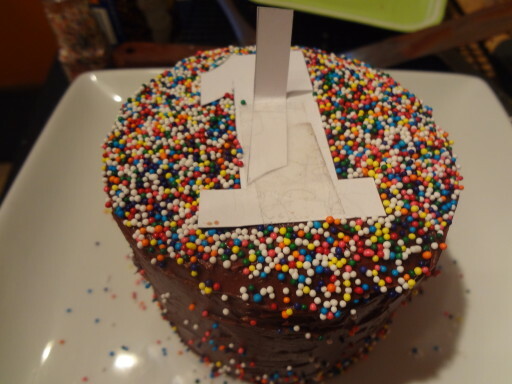 Then I peeled off the 1 and voila, the cake was decorated. Easy Peasy. I covered it with an upside down tupperware container and left it on our front porch where it was cool until his party the next day. I think it is safe to say the cake was a huge hit.